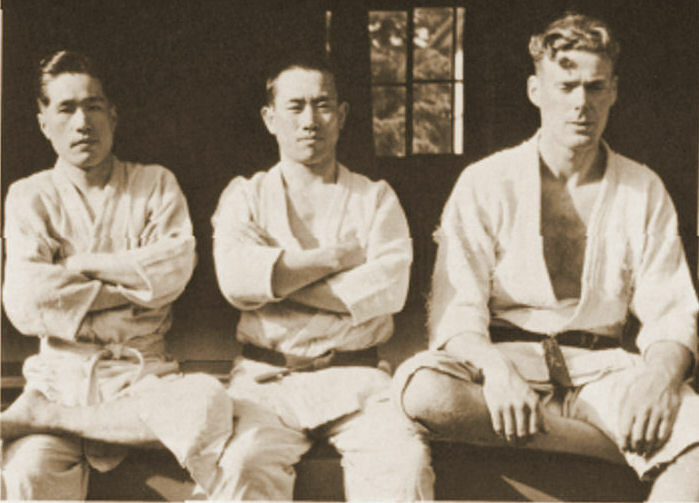 A Judo Legend, MI6 operative and wartime captive of the Japanese, Trevor Leggett assumed prominence in BBC radio and became an inspiration to countless students of Yoga and Zen through his avid writing and personal spirituality. ‘A Man of the Ways’ is a celebration of his work and a tribute to his centenary, marking a milestone for his followers and an opportunity to extend his message to the next generation. Trevor Pryce Leggett, was perhaps the most influential Englishman in the development of Judo in the UK studying directly under Tani and Koizumi, the first Japanese teachers to come to the British Isles and when invited to the Kodokan, the Japanese birth place of Judo, in 1939, progressed to become the highest non-Japanese grade in the world. Leggett studied judo with the intensity and commitment which he applied to every field of his life, becoming an accomplished judoka, revered teacher and the author of many books on technique. He believed in ‘Judo for life’ and applied the same philosophy derived from Yoga and Zen to his physical practice. We explore Leggett’s life through glimpses of archive martial arts footage and experience his teachings by use of his own recordings and reconstructions of his stories which he would use as parables and koans to bring Zen and Yoga principles into his students reality. ‘A Man of the Ways’ is supported by the ‘Trevor Leggett Adhyatma Yoga Trust’ – whose mission is to publicise and disseminate Trevor’s teachings to all who would hear.